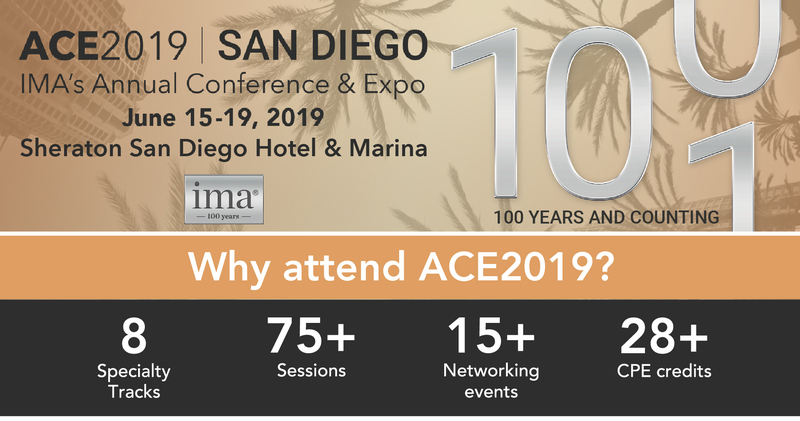 Join IMA® (Institute of Management Accountants) in San Diego for their Annual Conference and Expo (ACE2019). Choose sessions from 8 Specialty Tracks and earn CPE credits you need. What's more, ACE2019 features dynamic speakers, fun networking events, an epic celebration of IMA’s 100th Anniversary, and spectacular keynote speakers headlined by the one and only Jay Leno! Register now and save! Visit www.imaconference.org and take advantage of Early Bird rates. Announcing the 2019 Keynote Speaker!